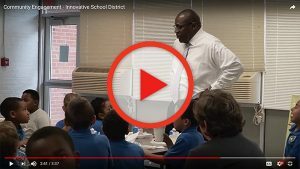 Below are two videos that highlight what’s going on at the Innovative School District’s (ISD) inaugural school, Southside Ashpole Elementary in Rowland, NC. In the first video, you’ll see how, after some initial trepidation, the local community embraced the partnership with the ISD. Through this partnership, work began to create the conditions necessary to increase student growth and achievement at the school. 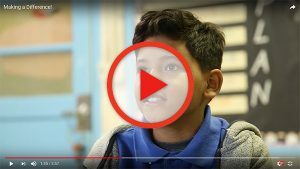 In the second video, the school director, educators and students talk about a what’s happening at the school. New attitudes and a focus on accelerating student growth are making a difference. The North Carolina Innovative School District (ISD) is seeking proven* and credible* applicants to partner with our district and local communities to ensure strong outcomes for students in some of the state’s lowest performing schools. The Notice of Intent to Apply is the first step in the ISD team’s planning process to ensure that we identify partner applicants with a strong commitment to the local communities we will be serving. If you have any questions regarding the process or timeline for applying, please email lateesa.allen@dpi.nc.gov or call 919-807-3435. All prospective applicants for the North Carolina ISD must submit this Notice of Intent to Apply by 5:00 pm EST on October 12, 2018 via email to NCISD@dpi.nc.gov. (Raleigh, NC)— Dr. Eric Hall, Deputy State Superintendent of Innovation and founding Superintendent of the North Carolina Innovative School District (ISD), announced today the names of the qualifying low-performing, schools in the state and those that will be considered for inclusion in the ISD for the 2019-20 school year. The qualifying list, which includes both rural and urban schools, is determined by school performance data provided by the North Carolina Department of Public Instruction’s Accountability Division. Last year, 48 schools were on the qualifying list compared to 14 this year. Of the 14, six are rural schools and eight are urban schools. The number of low-performing districts—districts with over 50% of their school considered low-performing—decreased from 11 to seven. “These reductions show that school systems across the state are taking strategic steps to improve student growth and achievement in their district,” Dr. Hall commented. “It is important to note that schools that adopted one of the state’s established reform models were removed from the qualifying list. It is our hope that these interventions will be successful and lead to improved student outcomes,” Dr. Hall added. The ISD will now begin the task of selecting two to four schools for transfer into the ISD for the 2019-2020 school year. Dr. Hall explained, “Once we make final selections from the list of schools under consideration, we will begin partnering with local communities and districts to examine how we can work together to create innovative conditions that will help students improve their academic growth and achievement.” Additionally, the ISD superintendent will work with families and local partners to identify and match qualified operators to run the selected schools under contract with the State Board of Education for a period of five years. At the end of the contract, the schools will be transitioned back to the control and management of the local school district, unless other options are agreed upon by the local school board, the ISD Superintendent and approved by the State Board of Education. Established in 2016 through legislation enacted to improve student outcomes in low-performing schools across North Carolina, the ISD works in partnership with local communities to design and implement strategies for school improvement, creating innovative conditions for accelerating student growth and achievement. For more information, visit www.innovativeschooldistrict.org. This month marks one year since I started the journey to serve our state and local communities as the founding Superintendent of the North Carolina Innovative School District (ISD). As I reflect on the past twelve months, I marvel at the progress we’ve made. Last May, we took the first steps to transform legislation into an operational set of systems and processes for implementation in the real world. Today, we are partnering with an Innovative School Operator, planning for our inaugural school year, recruiting for a proven school leader, preparing to hold a career fair to hire teachers and support staff and engaging with thought partners to inform our work as a new statewide school district. It’s been a whirlwind of activity and a lot to navigate, but it’s also been immensely rewarding. A year ago, when I was hired by the State Board of Education and joined the team at the Department of Public Instruction, I entered an environment that was both familiar and foreign. In my previous position as CEO of Communities In Schools of North Carolina, I was a strong partner with DPI so I came into this new role with existing relationships at the agency. At the same time, while transitioning into this work—that was not only new to me, but also for the state and the agency—a learning curve existed for me and others as we worked together to align and, in some cases, create systems and policies to accommodate the structure of the ISD. This undertaking occupied the first several months of work on the job and gave me, other members of the ISD team, DPI staff and our partners the opportunity—and challenge—to engage in experiential learning and develop new working relationships. Fast-forward to the Fall of 2017 and the focus shifted. The ISD released its first set of qualifying low-performing schools at the September State Board of Education meeting. This list of 48 low-performing schools spanned 21 local school districts across the state. Identifying the schools for potential inclusion into the ISD was one thing, announcing it publicly was another. The local school districts and communities with whom we were seeking to partner took note, considered the possible implications and engaged in public discourse. It was new and involved change, so naturally there was considerable debate. Ultimately, Southside Ashpole Elementary in Rowland, NC, a rural community in southern Robeson County, was unanimously approved by the state board and the local school board for transfer into the ISD. Since our first meetings with the community, we’ve worked hard to establish and cultivate meaningful relationships with different stakeholders in Rowland. We’ve succeeded in building a broad base of support from community members in Rowland and surrounding Robeson County. While there is much to do, these relationships have set the stage for implementing authentic innovation that will help create conditions for improving student achievement, which is the ISD’s mission. Positive and sustainable change starts at the local-level and empowers the community as the owners of that change. To that end, the ISD created a community advisory panel in Rowland comprised of members of the local school board, a county manager, the town mayor and town manager, a local faith leader, a parent from Southside Ashpole and the local district superintendent. Together, we’ve engaged in open and honest conversations, are working to craft a vision for the school and the local community, and building genuine trust based on shared goals. As I have said repeatedly over this past year, the ISD is about partnerships. We are committed to improving the outcomes for students in low-preforming schools and we are reaching out and learning from others who are engaged in similar work across the nation. We want to discover what has worked, what hasn’t and how best to navigate the challenges and opportunities moving forward. Research indicates that students who are not reading on grade-level by the time they start 4th grade are four times more likely to drop out of school. Minority students living in poverty and not reading on grade-level by the 4th grade are six times more likely to drop out. To compound that, data also shows that a disproportionate number of low-performing schools have higher than average impoverished and minority student populations. And, it is probably no surprise to learn that students who do graduate and yet continue to struggle in attaining critical core foundational skills in reading and math are at a tremendous disadvantage regarding future career opportunities. It is an urgent matter! Based on 2017 data, of the over 2,600 public schools in North Carolina, 505 of them are currently designated as low-performing based on data from our state’s accountability system (that’s an increase of 16 schools since 2015-16 school year). Over a quarter of a million students are enrolled in these schools. Out of the 505 low-performing schools, 468 of them have been deemed low- performing for at least two out of the three most recent school years (that’s an increase of 53 schools since 2015-16 school year). This means that roughly one out of every five schools in our state is classified as low-performing and does not meet expected student outcomes. Over the past few years, the number of low-performing schools has increased, which deepens the challenge facing students in our state who are already not performing at grade-level in reading and math. It’s a troubling trend that should concern everyone. The barriers to success that exist at low-performing schools both inside and outside the classroom are not new, but we need new ways to confront them. More funding is often the refrain we hear when these issues are discussed, but history shows us that funding alone is not the solution. Yes, funding matters and investing in educator talent and leadership are key components of the positive change we need to bring, but simply putting more money into something without an accountable and evidence-based approach won’t change the trajectory of our schools. Since 2010, for example, over $140 million in federal School Improvement Grants have been invested in North Carolina’s low-performing schools with little impact on outcomes. We can’t keep repeating and refueling failed strategies. Authentic innovation is needed so we can reimagine the possibilities in our schools. The legislation that created the ISD was put in place so we could engage in this conversation and explore new options for addressing the academic and non-academic barriers that impact student achievement in low-performing schools. The flexibilities that the ISD has sets North Carolina apart from other states. We are a state-wide district charged with selecting and operating low-performing schools in coordination with the local community and engaged partners with a shared goal of improving student achievement and success. One of the key partners in the ISD initiative are the Innovative School Operators (ISOs) who serve under a 5-year contract with the State Board of Education to implement a plan and strategy for improving student achievement. An ISO could be a college, a local non-profit organization, a corporation, or even a proven school leader who is interested in launching their own entity to transform low-performing schools. The options for what an operator may be are broad, which enables the ISD to explore the possibilities and develop new strategies for each school engaged in this approach. We also have the flexibility to design a school transformation plan with an operator that is tailored for a specific school and community and can transform the circumstances that perpetuate low achievement in our schools.